Hotel Corali, virtual Photo Tour of a Double Room. Hotel Corali is situated in the enchanting site of Piso Livadi Paros, 100 meters from the beach and 200 meters from Piso Livadi center. It provides rooms and apartments, with shower/WC, telephone, music, TV, refrigerator, A/C and private balconies with excellent sea view. There is also a reception hall with breakfast room, cocktail bar, sitting room, TV lounge, free Internet Wi-Fi access. We are sure that you will enjoy your stay with us and you will find all the needs for exceptional holidays. This is a lovely family run hotel in Piso Livadi. Considerable steps up to the hotel, but everything in Greece is either up or down a hill. Rooms are very nice and a balcony is a must. What a view, what an experience to sit on the balcony and watch the world go by.Very clean and great breakfast at very reasonable costs. Great location, everywhere is close. Maria and her mother Ioanna chose the perfect location back in 1988. The result is a lovely small hotel, separated from the coast road by a large garden, with absolutely wonderful views over the village and harbour. Tavernas and beaches are a five-minute saunter away. Rooms are nicely sized, clean and comfortable. Just the place for a truly relaxing stay – and make sure you get a balcony! 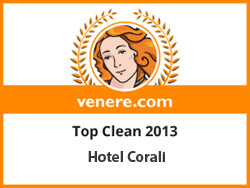 This family run hotel is extremely clean and has rooms overlooking the harbour of Piso Livadi. We also stayed in the rooms at the back that provided kitchen facilities for cooking etc although Maria seemed more than happy to make us beatiful breakfasts on the balcony each morning if we were too lazy to cook ourselves. Away from the hectic pace of the main town, Piso Livadi was the perfect spot for our stay. Free Wi-fi interenet and the owners hospitality made our holiday perfect. Great views in this perfect location in Paros! We choose the hotel Corali because of the view and the location. We were 100% satisfied with our choice. The hotel looks to Piso Livadi Bay, the view from the room balcony is fantastic, the room was very clean, and the bathroom is new. The location is very nice, the beaches around are very clean, the spot is ideal for relaxed holidays. The family who run the hotel is very friendly and helpful, the hotel provides free Wi-Fi Internet access to the costumers, and this was very helpful to us. The rooms were very nice, with exceptional bathrooms, but they lacked a safety deposit box. The family which owns the hotel were incredibly helpful and would almost fall over themselves to help you, to help carry bags, offer advice or find answers to your questions. The hotel is right at the edge of the Piso Livadi front, with exceptional views from our rooms which faced out towards the town, sea and Naxos. It took less than a minute to walk to the charming town, with a small but adequate beach. Travel to the other side of Paros (about 20 minutes by taxi) to Piso Livadi and you've found a piece of paradise at Corali's. Beautifully spacious clean rooms, air conditioned and minutes walk to beaches, tavernas or do nothing and just chill on the balconies and watch the goings on in the small port below. Here you get value for money. The rooms are functional, big enough and clean.You have a beautiful view over the bay and the short walk to the hotel up is no problem. Towels and bed sheets are being changed often enough and the owners are very helpful. Public buses are stopping not far from the hotel and take you all owner the island. The city Piso Livadi is calm but still has enough restaurants and bars.A really nice place to relax far from the big tourist masses! I stayed at Corali for almost a week! The view from the balcony is spectacular, facing the port where the blue sky meets the blue sea! This quaint hotel offers great hospitality and peace of mind. Friendly, generous and smiley owners!!! THANK YOU! A family affair, the mother's sister and brother ... sister, Maria, who welcomes you with open arms, an English speaking understandable and did everything possible to make your life as easy as possible. And she loves her island, speaks with such enthusiasm ... She advised us on excursions, found a mini bus for 8 people while all the host was "full" from "full", etc .... The rooms are clean, very clean, air conditioning, refrigerator, with breathtaking views of the bay. A SUPER VALUE / PRICE mom made the cake for breakfast every morning, and that leads to the stick maids. Brother, her amiable but Greek; he oversees, pleasant but fairly quiet. A great deal about these people down there, simple, professional and so efficient. La maman qui fait le gateau pour le petit déjeuner tous les matins et qui mène à la baguette les femmes de chambre. Le frère, lui aimable, mais Grec; il supervise, agréable mais assez discret. Une super affaire de descendre chez ces gens là, simples, professionnels et tellement efficaces.